Behind every great day is a great night at the Comfort Inn hotel in East Liverpool, OH. Our smoke-free hotel gives you easy access to many key business destinations, like Kent State East Liverpool Campus, First Energy Beaver Valley and Sammis, and Ergon. We offer fax and copy services and meeting space for our business travelers. 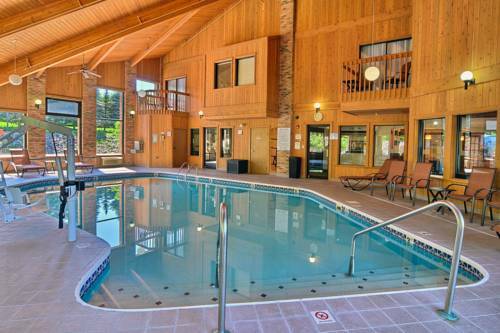 Other hotel amenities include free WiFi, free hot breakfast, an exercise room and indoor heated pool. Each cozy guest room is furnished with a coffee maker, hair dryer, iron, ironing board and TV. Some rooms include mattresses, microwaves, refrigerators and a hot tubs. Also, earn rewards including free nights and gift cards with our Choice Privileges Rewards program. No pets are allowed. ~30 miles from East Liverpool. Built and run by the Hare Krishnas, the Palace is an unexpected and majestic tourist attraction, reached at the end of four miles of serpentine road. Palace tour, gardens, statues, ambience of royal India. ~49 miles from East Liverpool. ~33 miles from East Liverpool. Tour a real U.S. submarine that spied on America's foes from the depths of the Cold War.